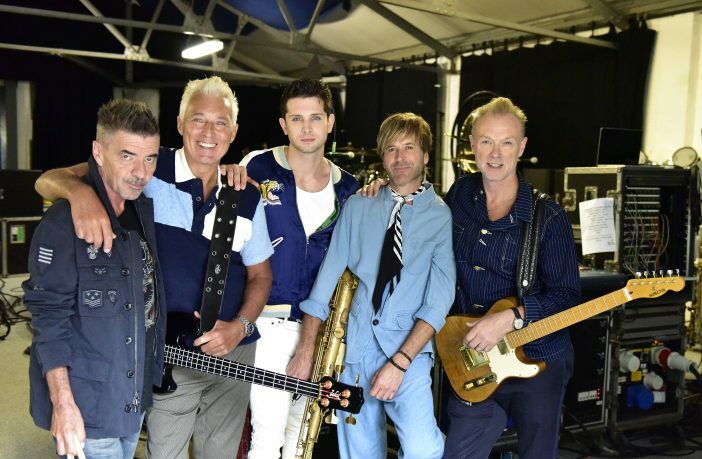 Spandau Ballet have made a rapturous return to the stage introducing their new singer Ross William Wild at a very special club show at London’s Subterania to prove that as the song goes they no longer ‘find it hard to write the next line’. The band fronted by Ross’s sensational voice powered through a hit-strewn set featuring classics such as Only When You Leave, To Cut A Long Story Short, Through The Barricades, Highly Strung and many more as well as spine-tingling versions of True and Gold with an energy reminiscent of their earliest days playing The Blitz Club. Singer Ross William Wild was first introduced to the group when he starred as Elvis Presley alongside Spandau bassist Martin Kemp in The Million Dollar Quartet in 2016, Martin told the band that “He gave me goosebumps every night he sang” and when the time came to re-group it was clear after one rehearsal that his voice and their music fitted together perfectly. Of the chemistry within the revitalised band Spandau’s songwriter Gary Kemp says ‘Ross’s great talent and passion has given us the confidence to continue playing the music we love. To quote one of our own songs, “There’s power in his voice and it makes us feel so sure…”‘. Multi-instrumentalist Steve Norman commented ‘Ross not only has the technical ability to cover Spandau’s songs but he’s already introducing his artistic creativity to the fold. On top of that he’s a right nice bloke. We struck lucky’. The band has announced a special one-off UK show at the Eventim Apollo Hammersmith on October 29th a venue that the band have never played before. Tickets are on sale now.